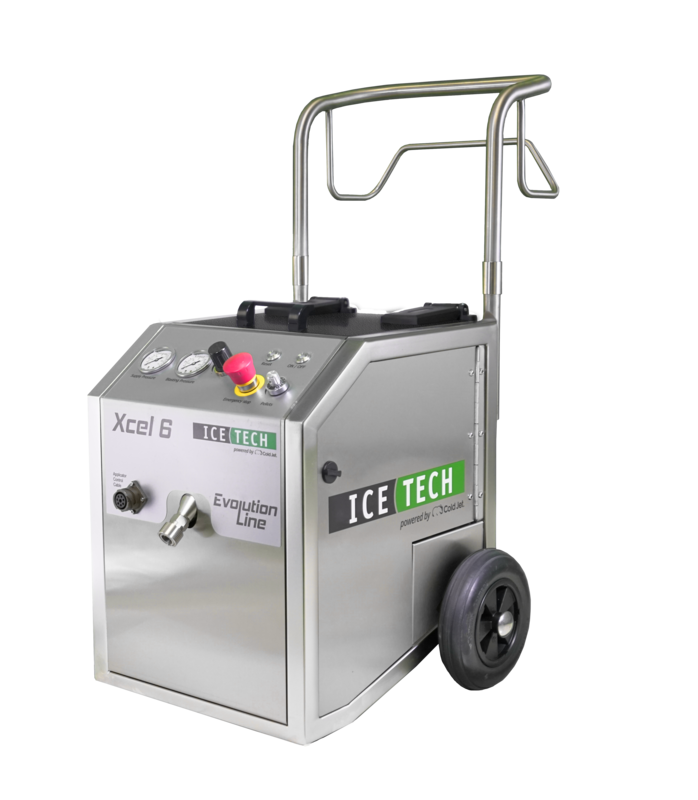 The Xcel 6 has a small footprint and is perfect for light to medium duty dry ice blasting. Evolve the way you clean your equipment with the enhanced Xcel 6. Designed with advanced operating principles, the Xcel 6 maintains a smooth cleaning performance while enhancing operating control. With a stainless steel frame, the Xcel 6 is designed to provide a reliable cleaning solution with minimal air requirements. The Xcel 6 supports short blasting sequences with low dry ice consumption. Due to its compact size and gentle cleaning capabilities, the Xcel 6 is an excellent cleaning solution for delicate equipment components to medium duty cleaning. Compressed Air Connection: 3/4" claw coupling. The compressed air must be kept clean and free of oil, foreign bodies and water.